Memphis, Tenn.-based transportation and logistics giant FedEx Corp. joined the international response to the Ebola outbreak in Africa by donating services through its FedEx Cares "Delivering for Good" initiative. On May 30, the company airlifted International Medical Corps medical shelters and other lifesaving relief supplies to the Democratic Republic of the Congo (DRC) in support of efforts to fight the deadly virus. New York-based freight forwarder MTS Logistics raised $21,925 for autism awareness through its 8th annual "Bike Tour with MTS for Autism" event. A total of 100 cyclists pedaled across Manhattan and Brooklyn to benefit the nonprofit charity Spectrum Works. Lima, Pa.-based transportation and logistics service provider Pilot Freight donated $50,000 to fight childhood cancer as part of this year's Lemonade Days fundraising event. Proceeds benefited the Alex's Lemonade Stand Foundation (ALSF), a national childhood cancer charity that raises funds for research into new treatments and cures. 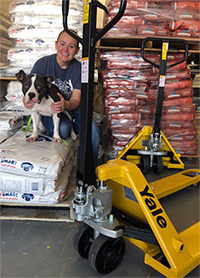 Lift truck vendor Yale Materials Handling Corp. donated a Yale YA55-PT manual hand pallet truck to the Pet Food Pantry of Eastern North Carolina, a food bank for cats and dogs whose owners can no longer afford to feed them. 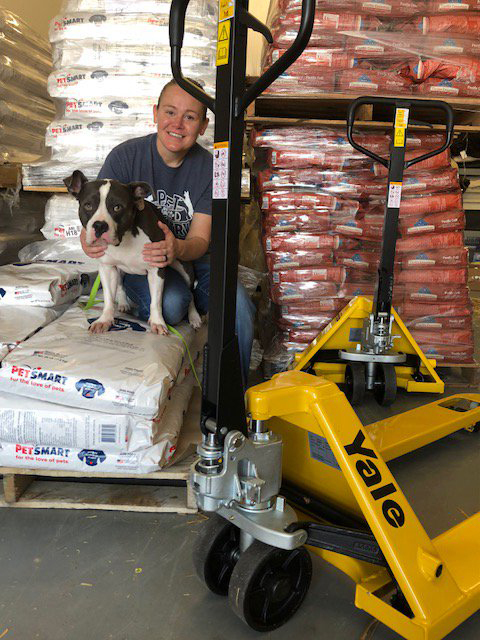 The donation lets the nonprofit avoid the expense of renting pallet trucks to process deliveries, thus allowing it to dedicate more resources to its primary mission.